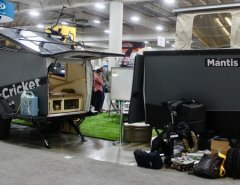 The Rpod is still such a popular travel trailer and one we see so frequently. For the consistent searches for it our site, we thought we’d run this overview again. 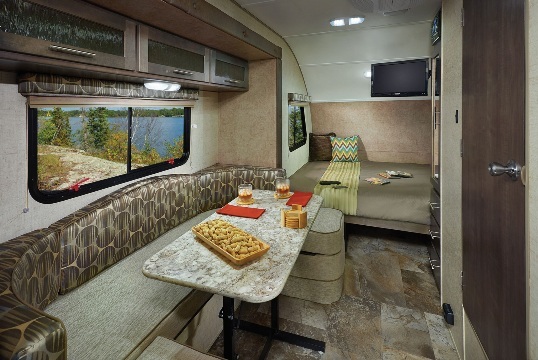 Versatile, filled with thought, amenities and necessities, all keep this ultralite a sought-after road trip staple. 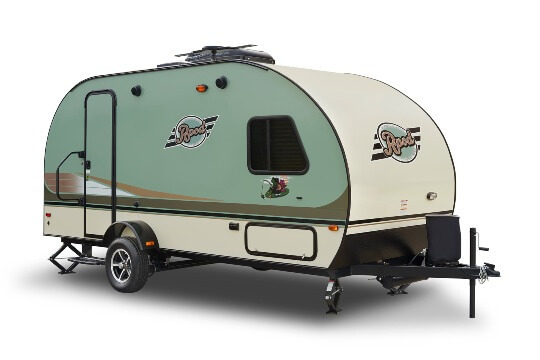 The 2015 Forest River Rpod 179 is a true example of “form follows function,” with its unique shape and construction. It is the first of its kind to offer you affordable luxury at the lowest tow weight in its class. 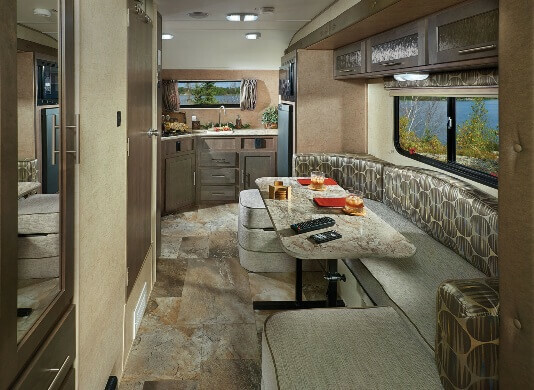 The interior of the R-Pod gives you that luxurious motor coach feel with a pop out dinette, full width kitchen containing a two burner range top, ample counter space and a 3-Way 4.2 cu ft gas/12V/electric DSI refrigerator and freezer combo. The beautiful hardwood cabinetry is manufacturer in their facility and have raised panel cabinet doors, solid wood drawers with residential hidden hinges and ball bearing drawer guides. R-Pod cabinets are glued and screwed together to form the best woodwork in the lite-weight towable industry. R-Pod bathrooms have a handheld shower head and sink faucet. One of the many great features of the R-Pod is how much storage it has. 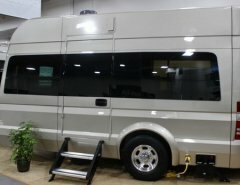 The R-Pod has more outside storage than many larger RVs. 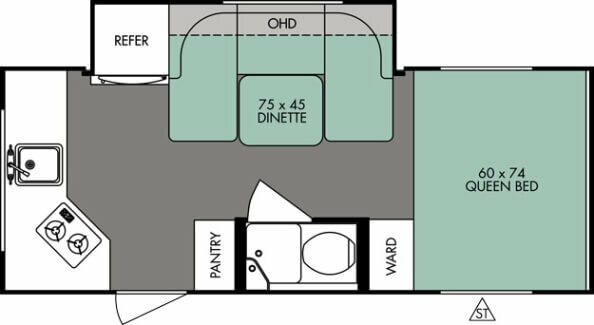 All R-Pods have pass thru storage with water-tight locking doors to keep your belongings safe. 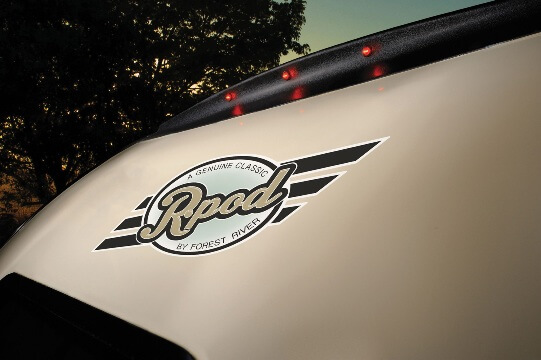 In addition, R-Pod’s roof is a strong seamless one-piece fiberglass roof that stretches from front to back and has a rear spoiler and all around LED lights. 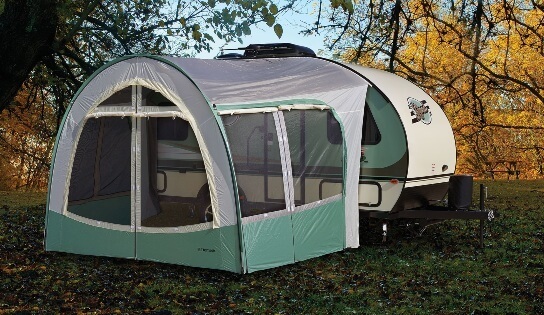 One must have option is the R Dome which provides additional exterior space to your R-Pod and must have when camping! 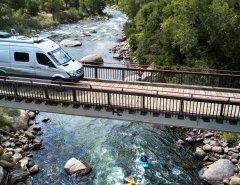 Next Article What Cars Can Be Flat-Towed Behind An RV?